Initially the Bosch tankless systems were not the best units on the market, they suffered from a number of issues resulting in very negative reviews and opinions from both contractors and consumers. 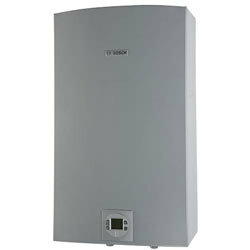 Bosch took notice of the complaints and made numerous tweaks and updates on their systems thrusting them to the front of the tankless water heater pack. Things have changed over the last few years starting with the Bosch GWH series tankless systems. The most recent generation, the “Therm” series are dependable, capable, reliable systems that we like to recommend to any of our customers. The new Bosch Therm tankless water heaters has 3 main features that the GWH systems do not. The first difference is freeze protection, these systems have a backup electrical heater so if you’re away on vacation and your furnace breaks down in the middle of winter the tankless will automatically protect itself. The second difference is the new Therm systems come with the capability of being joined together (24 units) in series to produce more hot water. The final difference in the new generation is the ability to accept preheated water, so solar thermal applications and recirc lines are possible. 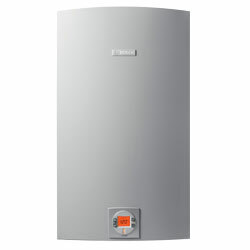 At Go Tankless we’re experts in tankless water heater installations and repairs. We can help you choose the right tankless water heater that will not only save you energy, but also suit your family’s needs. Or, if your current tankless water heater needs to be repaired or flushed, we can take care of that too. Call us today or fill out the form on the right side to schedule a call or have any questions answered.